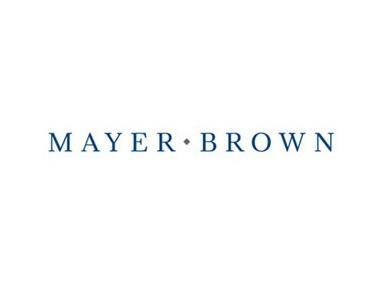 Mayer Brown is a leading global law firm with offices in key business centers across the Americas, Asia and Europe. Our global platform has been enhanced recently by our association with Tauil & Chequer in Brazil and our combination with Mayer Brown JSM in Asia. In December 2009, we formed an association with Tauil & Chequer Advogados, one of the largest and fastest growing law firms in Brazil. In Asia, we are known as Mayer Brown JSM as a result of our 2008 combination with JSM (formerly Johnson Stokes & Master), a leading Asia law firm. The firm’s global presence is also enhanced by alliances with Ramón & Cajal, a Madrid-based law firm, and Tonucci & Partners, a Rome-based law firm with offices across Italy and eastern Europe. Mayer Brown is noted for its commitment to client service and its ability to solve the most complex and demanding legal and business challenges worldwide. The firm serves many of the world’s largest companies and financial services organizations, including a significant portion of the Fortune 100, FTSE 100, DAX and Hang Seng Index companies and most of the major investment banks. Significant presence in the Americas, Asia and Europe. More than 190 Chambers-ranked lawyers worldwide in 2010. More than 150 Peer Review Rated Lawyers in Martindale Hubbell in 2010. Regularly ranked among the leading law firms in the United States, the United Kingdom, Europe and Asia by all of the main reviewing bodies.